Foto stock: Mãos · menina · prato · fresco · salada / Step-by-step recipe. 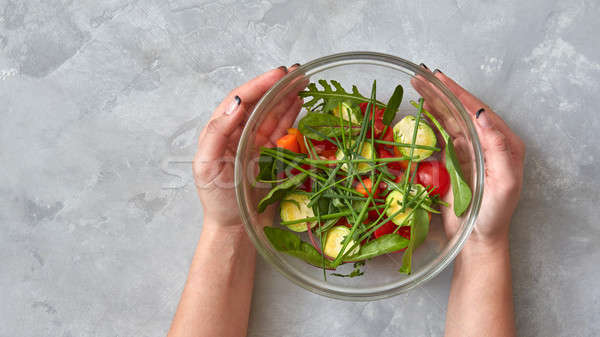 Cutting fresh vegetables in a plate, the girl is holding a plate in hands on a gray background, the stage of cooking a salad. Healthy food. Top view, flat lay. Online desde February 19, 2018.